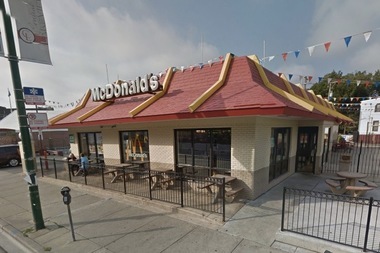 McDonald's will close its Wrigleyville location, 3620 N. Clark St., on March 1. WRIGLEYVILLE — Big Macs are about to become a lot more scarce in Wrigleyville. The McDonald's across from Wrigley Field will close on March 1 to make way for a hotel. Chicago Cubs officials have told neighbors for months that the fast food joint was set to close in March, with demolition starting in the first quarter of the year at the northwest corner of Clark and Addison. Team officials told vendors and crowd control and other staff the closing is set for March 1. A McDonald's employee confirmed on Thursday their last day would be Feb. 29. Ald. Tom Tunney's (44th) office said the restaurant would be closing in March, but the exact date had not been disclosed. EARLIER: Why Do the Cubs Want to Block Off Clark and Addison During Games? 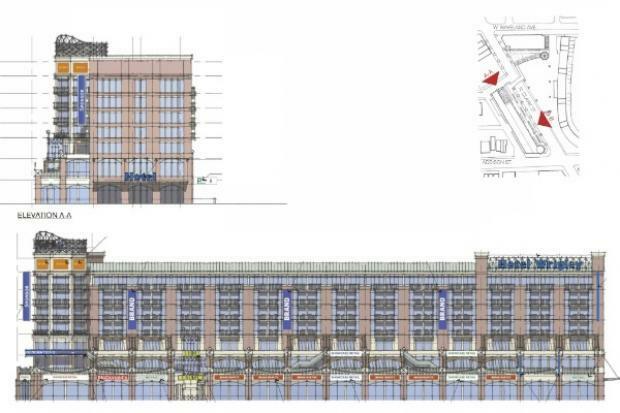 The Cubs Store will also shut down just south of McDonald's to make way for the glass, L-shaped hotel depicted in 2013 renderings. McDonald's is expected to reopen inside the new building once its complete. The project is estimated to take 20 months, Heather Way-Kitzes told Hawthorne Neighbors last month. Way-Kitzes handles government and neighbor relations for the Cubs. Work on the hotel site will begin as the Cubs continue construction on the plaza and office building across Clark Street. Extensive work on the building's facade has been underway since the end of the Cubs' postseason. The Cubs expect the underground clubhouse will be ready for Opening Day, along with the return of the Wrigley Field marquee. The plaza is set to open in late summer, while the office building at Clark and Waveland will be ready for occupancy in January 2017. The Ricketts family, which owns the Cubs, purchased the land in 2011 for $20 million. Representatives from the team and Ricketts family could not immediately be reached for comment. The Cubs and Wrigley Field are 95 percent owned by a trust established for the benefit of the family of Joe Ricketts, owner and CEO of DNAinfo.com. Joe Ricketts has no direct involvement in the management of the iconic team.